My Halloween was a blast, my costume came out perfect in the time I had to do it. Especially, when I had to finish my bodysuit in less than two weeks and actually completed it. I know I've told months before what I was doing for Halloween, so here are a few of the best pictures that was taken on Hallow's Eve as well as Halloween, itself. Over 70+ pictures were taken alone and this is only a tiny peek into them. That was a really well-done costume, Eyayah! I can't sew for anything so for you to put together something that involved, it's just...well, awesome!! I had a good Halloween, too, thanks for asking. 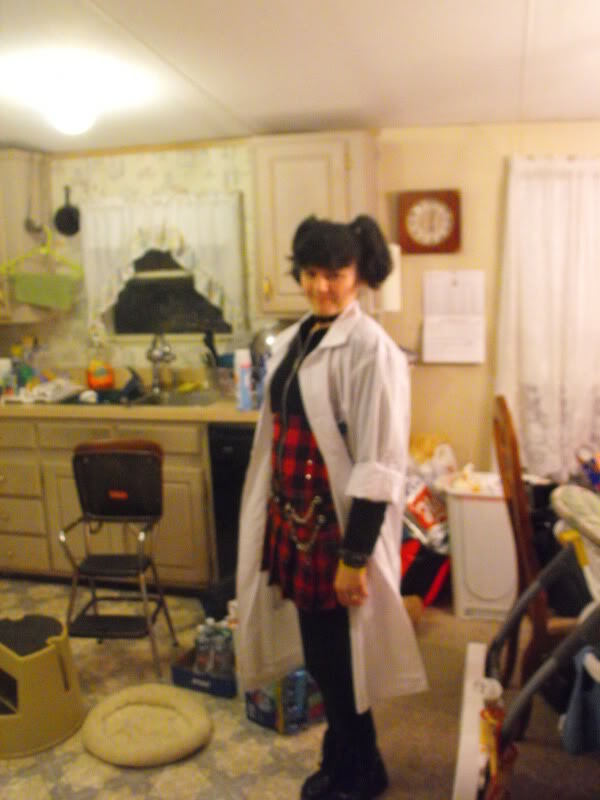 I dressed as Abby Sciuto for our costume day in work on Thursday and then on Saturday, I took my stepson and my preschooler out Trick or Treating, dressed in said costume. I got to say awesome costume, Ms. MaraJade. Abby from NCIS is one of my favorite characters. You did a really excellent job. Subject: Re: How was your Halloween?